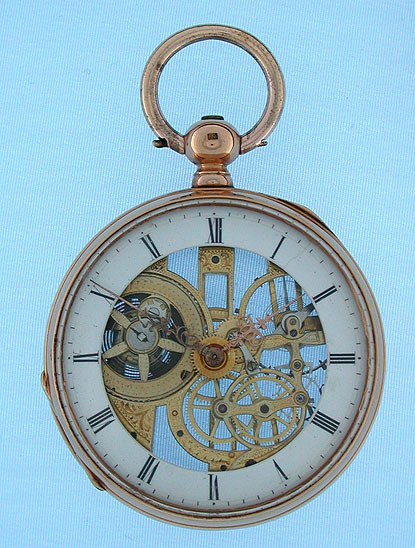 Fine slim Swiss 18K gold skeletonized pocket watch by Bornand circa 1850. White enamel dial ring with black numbers and fancy gold hands. 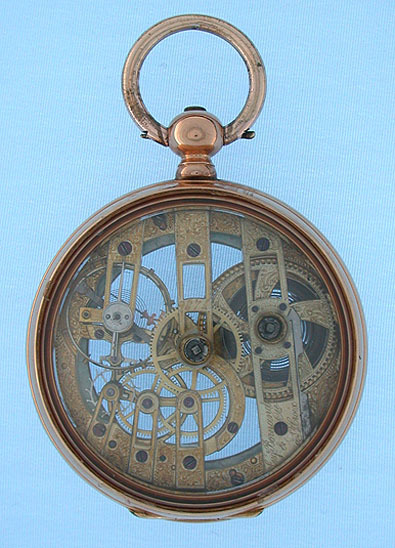 The 15 jewel lever movement beautifully skeletonized and engraved. Spring hinged glazed rear cover over glazed dust cover with holes for the winding key. Most attractive example.